You may recall that statement from Senate Majority Leader Mitch McConnell back in February of 2016, right after Supreme Court Justice Antonin Scalia passed away. McConnell then proceeded to block a nomination hearing for Barack Obama’s Supreme Court Nominee, Merrick Garland. Now, with Trump having two Supreme Court picks confirmed to the high court, McConnell appears to be changing his tune, and looking to influence the courts even further. Appearing on Fox News, McConnell made quite the statements, which will certainly anger Democrats. Wallace than asked McConnell if he would adhere to the rule he made in 2016 if President Trump were to nominate a Supreme Court Justice in his first term in 2020. “If Donald Trump were to name somebody in the final year of his first term in 2020, are you saying that you would go ahead with that nomination?” Wallace questioned. McConnell was hesitant to answer at first, giving Wallace the run-around, but to Wallace’s credit he persisted, asking McConnell for a direct answer to his question. “The answer to your question is, we’ll see if there’s a vacancy in 2020,” McConnell finally responded. 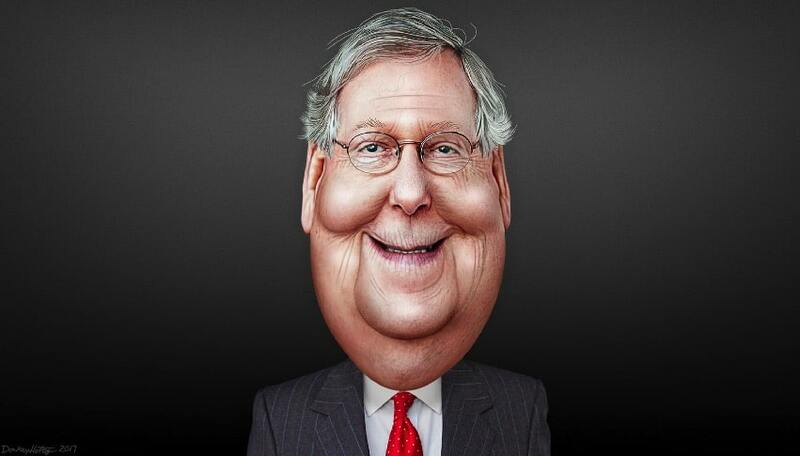 The mere idea that McConnell, and any Republicans for that matter, would actually consider holding confirmation hearings in the last year of Trump’s presidency, would be the ultimate hypocritical slap in the face to the American people. Of course if Democrats flip the Senate in November, none of this will even be possible, as McConnell would no longer be the Senate Majority Leader.